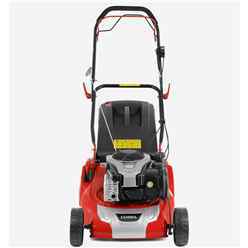 The Cobra RM46SPBR Electric Start Petrol Rear Roller Lawnmower is powered by a new 140cc Briggs and Statton 575EX Series Engine. It is self propelled and has a rear roller to help produce a traditional striped finish on your lawn. A great feature is that it gives you the ability to mow right up to the edge of flowerbed. There is a cut adjustment lever which is located next to the rear roller with 6 adjustable cutting heights that range from 17mm up to 75mm for managing longer grass. 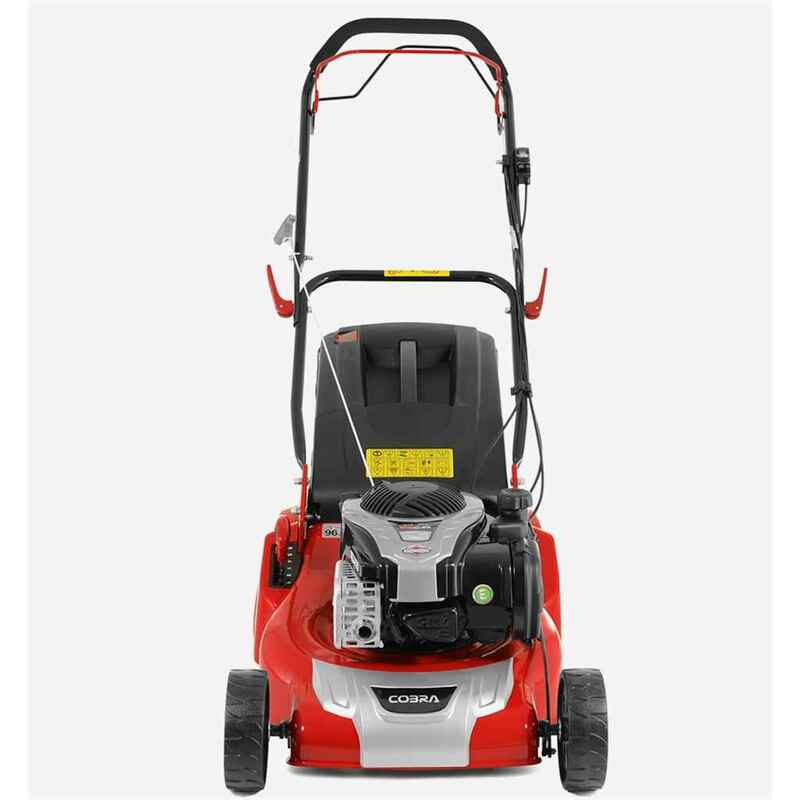 The 140cc Briggs and Stratton 575E Series is a ready start. The RM46SPBR has a large capacity 60ltr grass bag which is made of high quality fabric that enables a strong free flow of air.